Games and Casino was launched in July of 2002, our team makes up a dedicated spread of professionals who are, at heart, gaming geeks just like you! We strive to provide visitors with an extensive spread of the highest-rated casinos as well the latest in casino news, a selection of casino games and slot games. We have a knowledgeable team of writers who know the iGaming industry and work hard to provide accurate and entertaining game and casino reviews and up to the minute news articles. Get to know our writers by visiting our content writers page here. 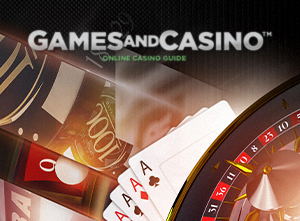 We provide several online gambling resources, which are updated on a daily basis. Our intent is to supply gamers with the most up-to-date information possible in relation to current casino promotions, online casino bonuses and more. Pros and beginners are welcome. Your interaction with us is important and our guide could not thrive without it. We encourage you to share your gambling questions as well as your gaming experiences, tips you might have for fellow players and even suggestions for our team. We promise we’ll take it into consideration. Share your thoughts on any of our forums. We are dedicated to delivering the absolute truth when it comes to reporting on the most well-respected places to play. We only share unbiased player ratings and we can proudly say that each of our listed online casinos are well (and individually) researched and only those with an outstanding reputation get our vote. What about those with a reputation that can’t withstand longevity? Not a problem. Hit the road, we say, and head straight for our blacklist.